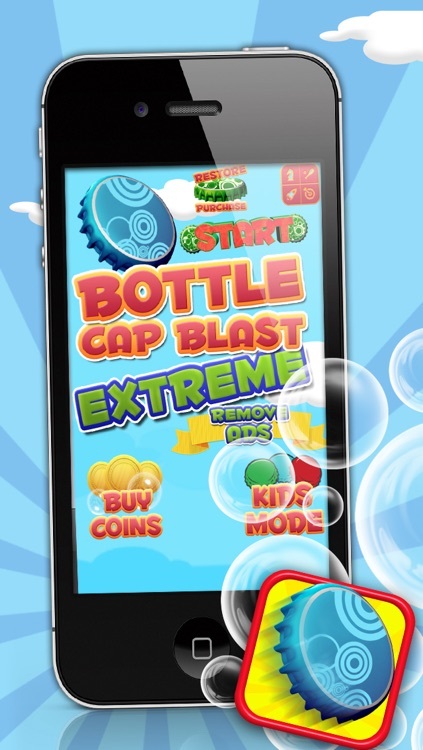 Bottle Cap Blast Extreme - A Fun Jumping Game! 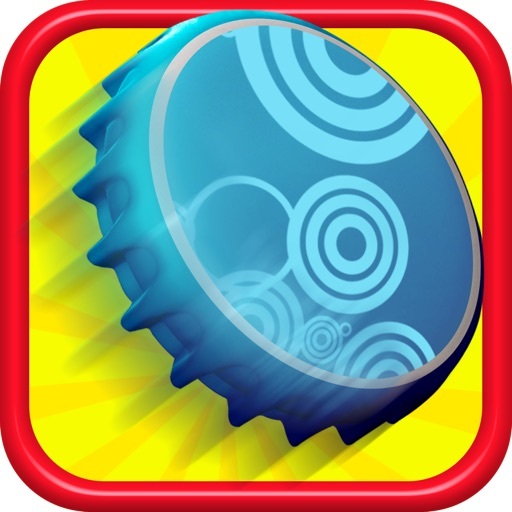 How high can your bottle cap fly? Shoot it up in the sky and ride the bubbles as high as they'll take you. 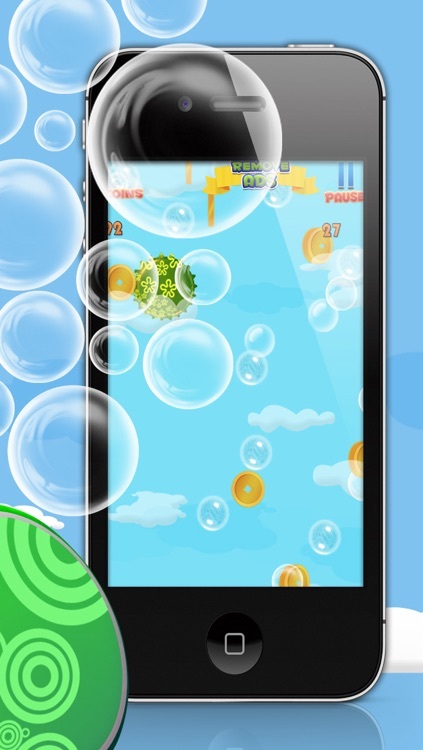 Collect coins as you tilt your device to stay within the bubbles. Watch out for falling ice cubes that will knock your bottle cap out of the air. 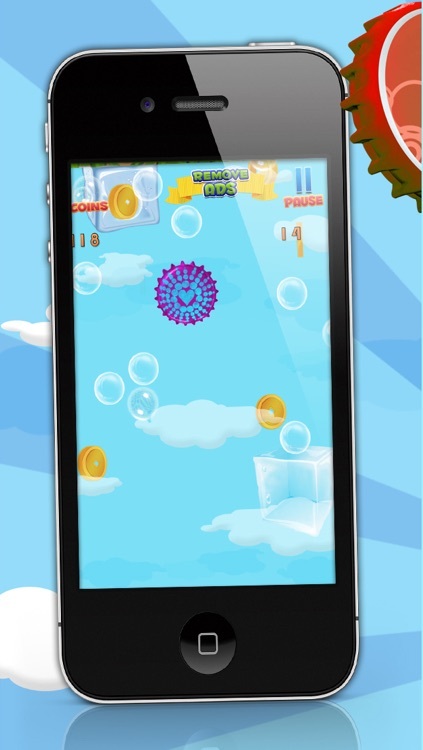 Dodge enough ice cubes and ride enough bubbles to best your best score. 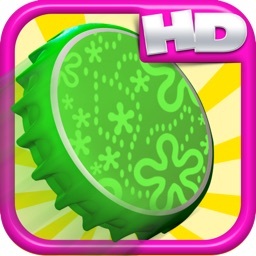 - Tilt your iPhone or iPad to the left or right to move left and right and avoid ice cubes. 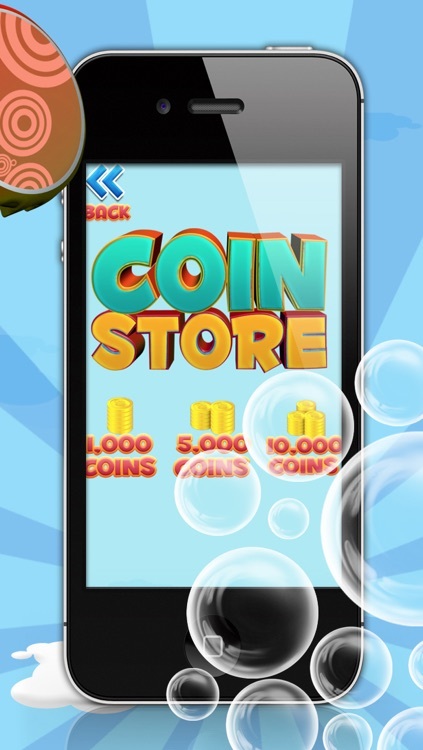 - Stay within the bubbles and collect gold coins to unlock more bottle caps with a variety of colors. 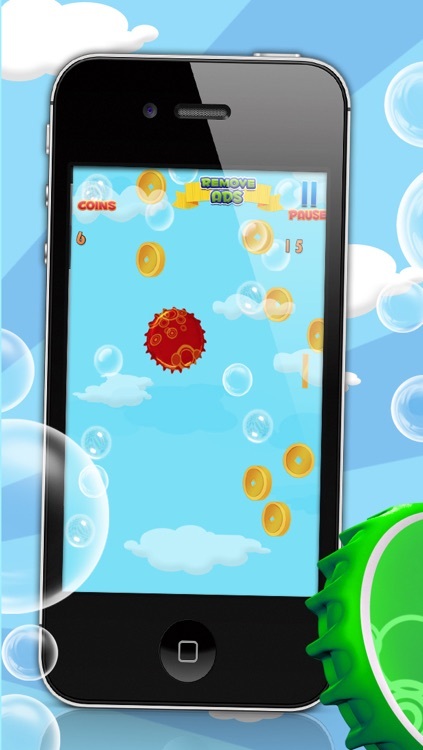 - Gamecenter Leaderboards let you see how you score compared to other players by how high you're able to fly and collect coins. 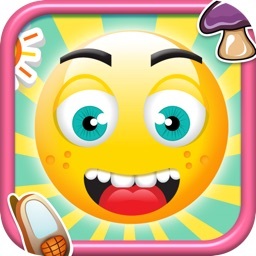 - Challenge your friends to beat your score! 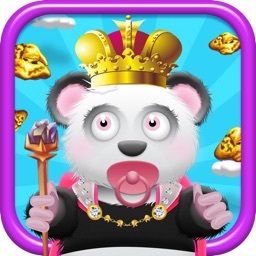 -DISCLAIMER FOR KIDS MODE IN APP PURCHASE FEATURE- Kids mode is an In App Purchase feature within the game that allows the user to have unlimited health. Also this feature disables the ability for the character to collect in game coins and the ability to shoot down obstacles within the game. 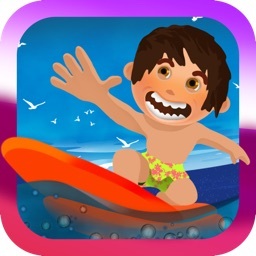 The purpose of this feature is to allow the user and/or kids for that matter to be able to play the game for an extended period of time without being hit by any in game obstacle. 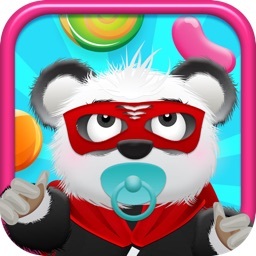 The user will also have the option to turn KIDS MODE OFF as well.